For the second time since I've lived in Manhattan, the air smells sweet, like maple syrup. 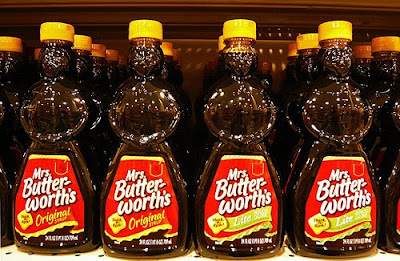 It started last night - my whole apartment smelled like pancakes and syrup. Noah and Sally said that the lobby of the Met smelled like a pancake supper. Turns out we're not the only ones who smelled it. New Yorkers were calling 311 to report the smell. Authorities have no explanation. I'm still smelling it today at my office, but maybe it's just sensory memory. It's definitely one of the weirder things that has happened here. Blurgh! Wasn't that just on "30 Rock"??? hahaaa Northrax? Was that what they called it?